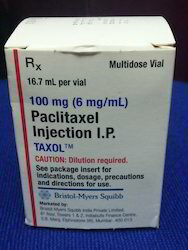 Backed by the profound skill of the industry, we are wholesaling a range of Taxol Injection. Our offered range is widely used to treat cancer. These are formulated by making use of admirable quality ingredients and sophisticated facilities at our vendor base to make sure their effectiveness. Moreover, customers can avail this injection in different packing options. 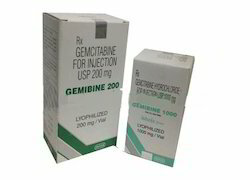 We hold expertise in exporting a superior quality range of Gemibine Injection. These injections are used in cancer treatment. This injection increases the body’s immune system to destroy cancer cells. Owing to its better quality and no side effects the offered range is widely acclaimed by the patrons. 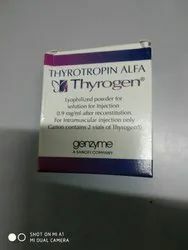 Our patrons can avail this injection in different dosages. Looking for Cancer Injections ?